Some bloggers from the network of Vietnamese political bloggers had a two-hour meeting with a high-rank official of the Office of United Nations High Commissioner for Human Rights (OHCHR) this Wednesday. These bloggers represented all three regions of the country. They were Nguyen Lan Thang, Doan Trang from Hanoi, Nguyen Anh Tuan from the central city of Danang, Nguyen Thao Chi and Nguyen Nu Phuong Dung from Sai Gon. “We are here today, though different in age, gender, location, and profession, to share a common concern. All of us are bloggers who object to the state abuse of laws to restrict citizens’ freedom rights,” said 23-year-old blogger Nguyen Anh Tuan. During the meeting, the bloggers described the current political situation in Vietnam, where the government has concluded and ratified the UN Universal Declaration of Human Rights and other human rights conventions. Also, it is now actively running for a seat in the United Nations Human Rights Council for the tenure of 2014-2016. Nonetheless, Vietnam still maintains a system of law that contradicts the Declaration and other related conventions. In the Vietnamese system of law, the three most infamous provisions of the Penal Code, including Article 79, Article 88 and Article 258, have been being extensively used by the State to harass, detain and imprison bloggers, or net-writers in general. The fact is that very recently, three bloggers were arrested within less than one month. They were accused of violating Article 258 of the Penal Code, “abusing democratic rights to infringe upon the interests of the State, the legitimate rights and interests of organizations and citizens.” This provision is vague enough to form a chain to bind any blogger who writes things the government dislikes. 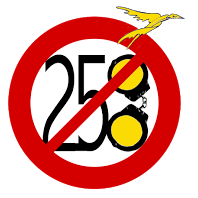 Confronted with this reality, over 100 bloggers across Vietnam have decided to build a network to release a joint statement against the state abuse of laws, particularly Article 258 of the Penal Code. Notably, instead of restricting themselves to sending the Statement only to the government, this time, Vietnamese bloggers have been and will continue sending it to international organizations, including the United Nations Human Rights Council and OHCHR. This to provide the international community with an insight into human rights issues in Vietnam. The high-ranking official from OCHCR said the Office is aware that human rights violations in Vietnam are now profoundly serious with successive arrests of and crackdowns on bloggers as well as political dissidents. However, because OHCHR has not opened a representative office in Vietnam, or to put it precisely, the Vietnamese government does not welcome an OHCHR’s representative office located in Vietnam, the Offfice faces challenges in access to information to gather evidence the official said before she encouraged more bloggers or victims of these injustices to raise their voice and tell their stories..
“Vietnamese bloggers and human rights activists should document all important cases, as of what happened, to whom, where and when. You don’t need to write a three-page-long report, but you need to include basic information and send it to us via the United Nations’ mechanism to protect human rights, such as the Special Procedures Rapporteur,” the official said. She also gave the bloggers some documents on the Special Procedures of the United Nations Human Rights Council. The high-rank offcial of OHCHR showed particular concern about the case of Dieu Cay, the blogger who was on hunger strike serving his 12-year prison term. OHCHR has questioned the Vietnamese government on this case without getting a response. “We are here to help you bloggers,” she stressed.